Less long ball, more small ball, but Atlanta's back. 2018 Chain Lightning. Photo: Facebook. 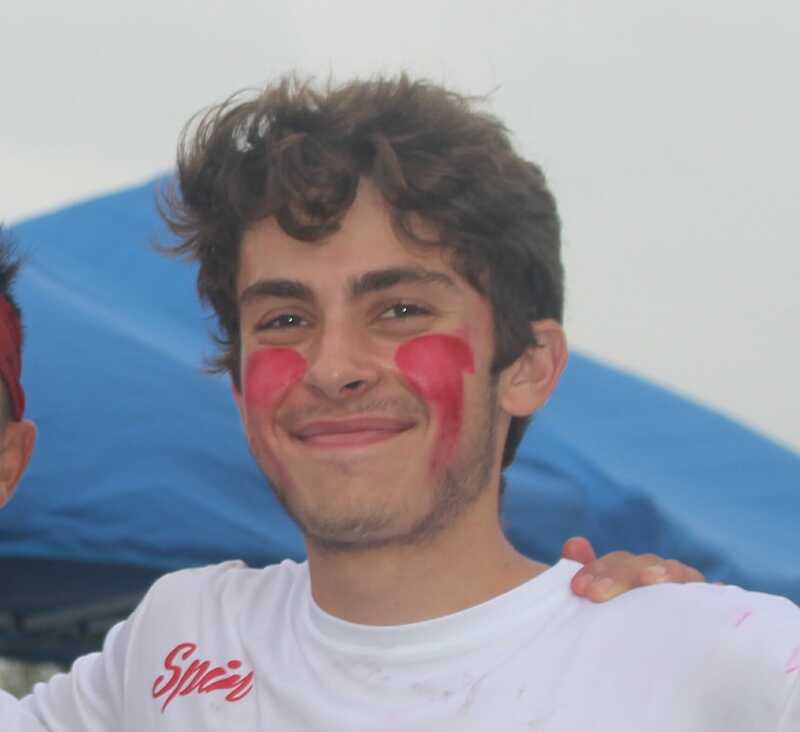 The history of ultimate is full of legendary teams: Death or Glory, Lady Godiva, New York New York, and Seattle Riot are all names that spring to mind. Among these storied programs is Atlanta’s Chain Lightning. Founded in 1981, the team has been competing on the national level for over 35 years and won a National Championship in 2009. But as the core of Chain’s championship roster retired or moved away in subsequent years, the team struggled to find consistency and failed to qualify for Nationals in 2015, 2016, and 2017. This year, however, Chain has earned the right to return to the fields of Nationals. Along with their cleats and jerseys, they are bringing a younger roster, a new coach, and a different offensive style from the Chain teams of years past. Unlike many of the teams who will be competing in San Diego, Chain’s journey started back in January — on a different team in a different league. 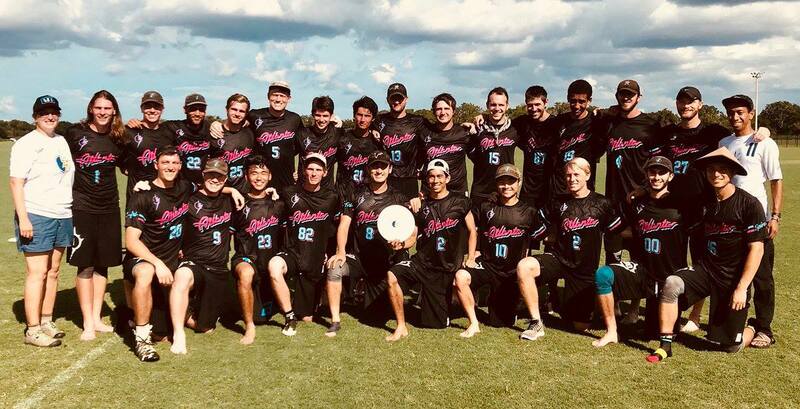 Coming off of a disappointing Regionals defeat at the hands of the now-defunct Florida United in 2017, Chain and Atlanta men’s ultimate as a whole were looking to restructure. The idea was to create a unified system of teams in Atlanta that work together to produce and refine talent. While established USAU teams like Rush Hour and Bullet were a part of this plan, the AUDL’s Atlanta Hustle also played a large role. Many of the top players in the Atlanta area already played for both Chain and Hustle, so it made sense that Chain leadership asked Hustle coach Miranda Roth Knowles to take control of both teams. The AUDL season begins several months earlier than USAU club, with Hustle practices beginning in the winter. Knowles believes this early start gave Chain a special advantage. “If I had started coaching Chain in June, I couldn’t have accomplished what I’d wanted and many of the players wouldn’t have made the giant strides they have,” she said. The leadership set ambitious goals for the Hustle season: in Knowles’ words, “[We wanted to] redefine the team culture, offense, and defense.” The Hustle saw some success in their 2018 campaign—although they narrowly missed out on the AUDL playoffs, veterans adjusted to their role as leaders while younger players also started to make increasingly important contributions. Despite Chain’s storied past, very few players on the roster have ever been to club Nationals, and no player remain from the 2009 championship team. In ‘09 and much of the 2000s, Chain was a team that lived by a still-familiar mantra: ‘chicks dig the long ball.’ With premier handlers like Dylan Tunnell and Josh “Cricket” Markette and the deep threats of Asa Wilson, AJ Tiarsmith, and Josh Ziperstein, it’s easy to understand why. On defense, they relied upon a roster of young and athletic bodies to grind their opponents down and make big plays. Although neither their offense nor their defense was exceedingly complex in strategy, both were brutally effective. In contrast, modern day Chain plays with much more finesse and precision. Versatile and quick, the Chain offense is more likely to march the disc down the field with 10 or 15 short cuts than they are to launch it deep. Even against high-level teams like Raleigh Ring of Fire who were able to make defensive adjustments, the Atlanta offense rarely faltered or slowed their lightning quick pace. It is difficult to single out the main contributors in Chain’s offense because all players have a relatively balanced role in its success. Once distributors like Paul Lally and Player Pierce find downfield cutters, the disc ideally stays out of their hands as Matt Smith and Christian Olsen work the disc into the end zone. If the continuation flow ever breaks down, all members of the team have the disc skills necessary to revive the offensive motion. While the youth and athleticism of this iteration of Chain is well equipped to match the opposing teams’ top players, they don’t only rely on person-to-person defense. Chain also employs a wide variety of zones that are designed to alter the pace of play and force the other team into making unusual mistakes out of frustration. Their zone was highly effective at the Elite-Select Challenge, where they went 3-2 with wins over Pittsburgh Temper and Toronto GOAT. The depth of their defensive playbook also played a big part in Chain’s success at Regionals, especially in their 15-11 defeat of the Huntsville Freaks in the game to go. The driving force behind these stylistic transitions on both offense and defense is what Knowles refers to as “The Chain Brain.” The Brain consists of a combination of the team’s captains, veterans, and even several younger players who help Knowles to create the team’s strategic plans and implement them effectively. This wealth of knowledge has allowed the complexity of Chain’s strategy to deepen and the team to flourish. Chain is entering Nationals seeded dead last. In their last practice before Nationals, several former players addressed the eager group and the overall message was clear: cherish the opportunity you have earned. Of course, Chain has their sights set on more than just breaking seed and enjoying their time in San Diego. This new generation is determined to continue adding to the legacy that they have inherited. Comments on "Long Ball, Long Gone: Chain Lightning Reemerges At Nationals"